A beautiful mocha / coffee medium rose sample. We can create matching wedding flowers using these roses and supply accessories for all colour schemes. 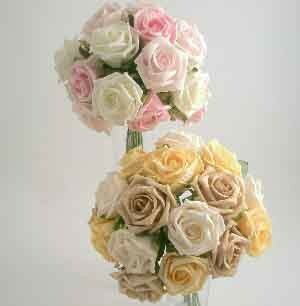 These roses are available in cream, dark pink, gold, ivory, light pink, mocha/beige & lilac/lavender.